A fire earlier this month at SK Hynix Semiconductor’s memory fabrication facility in China is being blamed for a two-year high in memory chip prices. On the day of the fire, a 2GB DRAM chip cost $1.60 and now three weeks later, the same chip sells for $2.27 – good for a 42 percent rise according to a report from Bloomberg. At the time of the blaze, Hynix said they found no major material damage to fabrication equipment in the plant’s clean room and expected to resume normal operations within a short period of time as to have as little impact on overall production and supply volume as possible. As it turns out, the fire caused a bit more damage than first thought as production is now set to resume sometime next month. In the meantime, the company has ramped up production in South Korea to help offset the production loss but the financial impact is of course already very real. Hynix is responsible for about 30 percent of the global DRAM market and roughly half of their chip output came from the China plant. 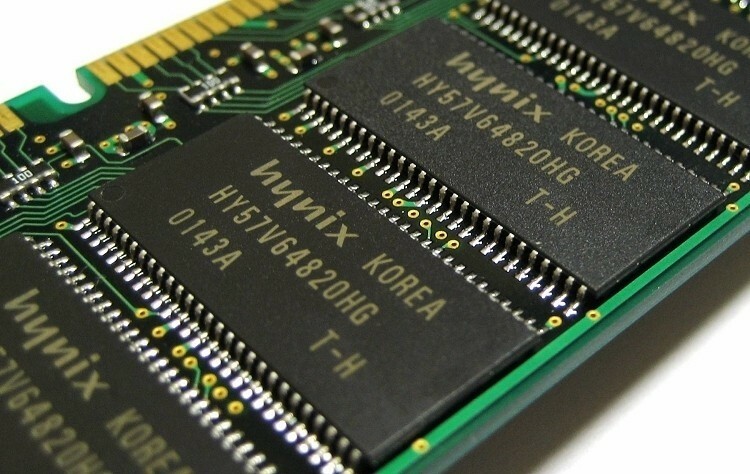 Oh Sang Woo, a Seoul-based analyst at Leading Investment & Securities Co. said chip prices will continue to rise throughout the fourth quarter or at the very least, there will be no drop until operation gets back into full swing at Hynix. For some, however, the fire has proven rather beneficial. Boise, Idaho-based Micron Technology is serving as an alternative supplier and has seen their stock rise 23 percent since the fire.